Today we had a drive out to Little Morton Hall. Its a National Trust site and its not really all that far away. This hall is from 1510. Its all higgly piggly. Very cute and definitely what you think about when you are an American coming to the UK. We climbed the stairs up to the top floors. They are the typical stairs for old mansions and castles. They just go round in a circle and are very narrow. How on earth the women made it up those stairs in the old days dressed in those huge skirts is beyond me. The stairs are so narrow that my feet didn’t fit on them. It was also the typical rope for a hand rail. When you get to the top its an open hall. I think at one point it was the largest room in England, but by today’s standards its not very big. But its was so out of plumb that I was dizzy. None of the wall where straight. I actually felt like I was on a boat and I got seasick. I think I might want to go back by myself and hang out a bit. I never get a feel for anything with kids in tow. I also have a feeling that its probably a haunted site. Really cool though. We had a really lovely day out yesterday. We are both in the mindset that we need to see as much of Britain as we can before we move away. Although S sees it everyday. He likes to try and get me to the nice bits. Yesterday we needed to take Kitty to her new owner. She lives in Cambridge so we met down towards that area. It took us about 2 1/2 hrs to get there, but we where stuck in traffic a bit due to a few accidents. I am sure we would of made it in under 2 hrs. Once again, I am struck at how close everything is in this country. We where only about 70 miles away from London at that point. I still, after all these years, can not get my head around the fact that I am about 3 hrs from London. Even more, I have only been twice. 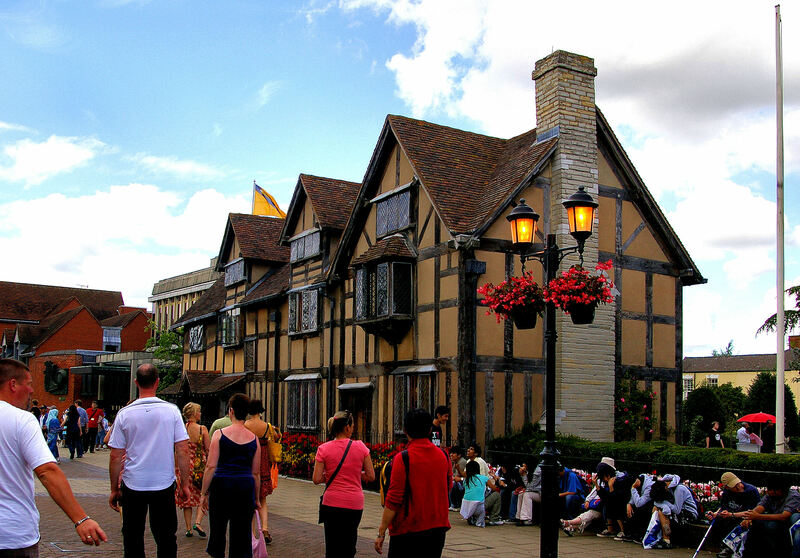 After that we headed up to Stratford upon Avon. 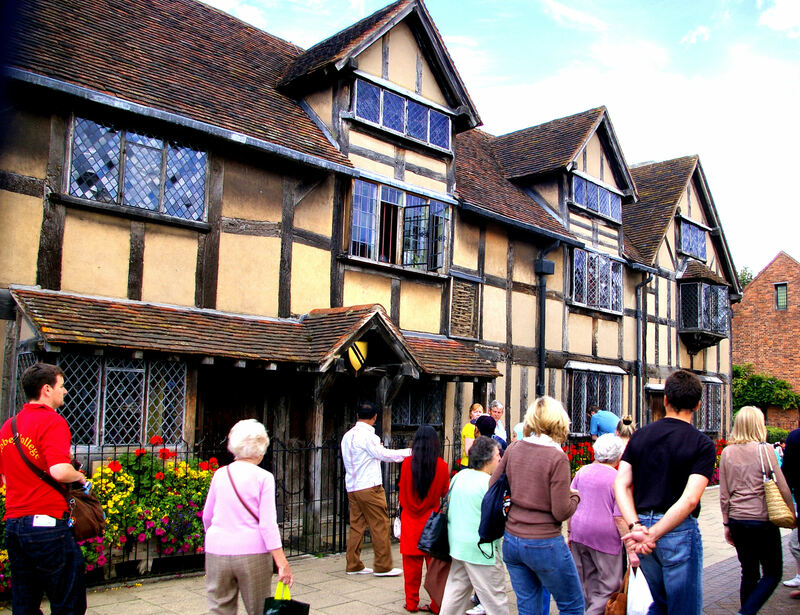 If you remember from history class, its the birth place of William Shakespeare. It wasn’t exactly what we where expecting. I actually don’t know what we where expecting, but I think it was a small town with some pretty sights to photograph and a nice quiet wander around. At least that is the impression the websites gave. But nope. This is a pretty big town but UK standards. It has a large high street with all the shops that goes along with it. Nice though. And the area was chalker block full of tourist. People from every corner of the world. I will admit, we don’t do that great in mass crowds. For some reason, the city girl in me is long gone. I just feel so claustrophobic when so many people are packed together. We had a wander up to the house the Shakespeare was born in. Its a really old, higgly piggly building. But when we looked at the prices to get in, forget it. £9 per adult. £4.50 for T who is too small to know what was going on. (that is $45 for the three of us in US dollars) As ever in the UK, things are over prices for what they are. It is the biggest disappointment for me. Things I would love to see, but I just know its not worth the money. You hear all about how the museums are free, but I have not seen one yet, unless its a tiny museum in a tiny town that is usually naff. We got our magnet, which we do every place we go, and left. This is where the day got better. We headed up the back roads through Warwickshire. All the while me thinking how I have never properly pronounced my childhood friends last name ever in my life. The surrounding areas where lovely. The day had gone from rainy to sunny. We drove by, then turned around to go into, Warwickshires oldest church. This was actually the ideal place for my son to have a run around. He needed that energy release. All the churches, especially the old churches, are also the cemetery. I love these places. They are usually quiet, as in no one around, not in spooks making noise. 😉 When the weather is right its a great place to just be. That was what it was like. We found a little bench on a small knoll and T just ran up and down enjoying himself. I got some great photos. The church was lovely. They even had toilets to use that where really nice. That helped as T decided to dig a hole and his hands where covered in dirt. On our way back we went up through Shropshire. The town of Shrewsbury is really lovely. We have decided that we will have to head back and check it out soon. We ended up having our tea (dinner for you Americans) in a pub not far from our house. One that I have been to a few times with friends, but hadn’t been able to get S to go to as he isn’t a big fan of pubs, pub grub, or ordering at the bar. He really enjoyed it. He even said that he would like to go back. I was gobsmacked. All in all a very lovely day indeed. All Summer, here in the Northwest of England, we have been struggling to get to 70f. We have been experiencing a lot of rain, cloudy days, cold weather. British Summer. Yuck. Yesterday and today we hit 70f. Yippee. But I am from California. By now, I am used to it being in the upper 90s. So why am I so HOT? Because it so darn humid. What would be a warm Spring day temp for me is making me feel sticky. There are still clouds overhead so it really keeps the humidity in. Bleh. It makes me long for a hot, dry heat. The kind of heat that you just step into the shade and the temp drops. The kind of heat I love. Clear sunny hot days with very low humidity. I am counting down the days. Wow, two days of sun in a row. Today was super sunny, yesterday it was off and on. We had a lovely day together again. K and T had fun playing together. S got the toilet fixed. We just relaxed a bit and watched Malcome in the Middle repeats on tv. Even got to let T play outside with the neighbour kids. So lovely to feel the sun. I was standing outside watching T play and one of the neighbor ladies was telling me she was so hot. It was all of 70f today. I had to laugh. Even the humidity was low. How they would cope in Sacramento when it is 114f? I have to chuckle thinking of it. Its so nice having sun in England. 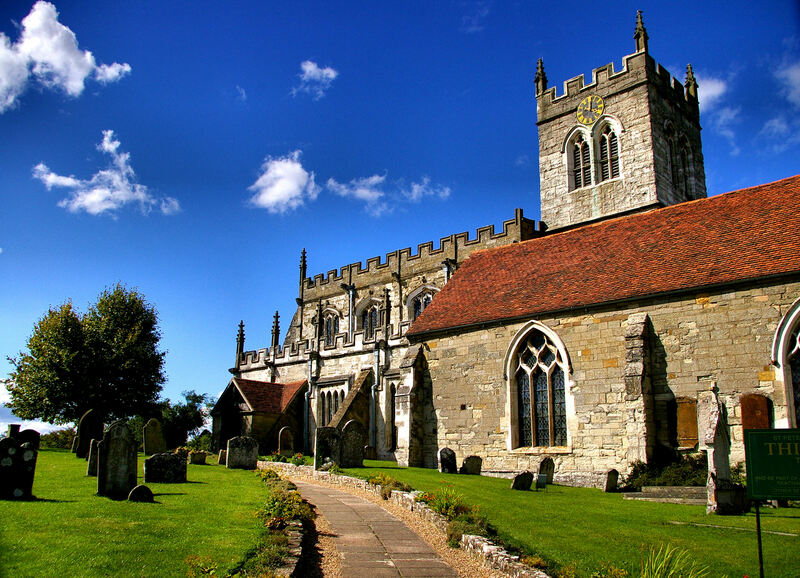 When the weather is perfect, England is lovely. I am really hoping that we get more of this sun. Sadly, the weather reports say that rain is coming. Heavy rain and all. So back to more depressing dreary Summer days. I will keep hoping that its only a few days before Summer actually sets in.